It’s maddening when your insurance premiums go up for seemingly no reason. You haven’t gotten a speeding ticket. You haven’t been in any accidents. Why doesn’t your insurance company think you’re a safe driver? Now, some insurance carriers are giving you the option to demonstrate your safe driving skills through telematics, where a tiny device is installed into your car that monitors your driving habits. One such program is through Allstate, with their Drivewise program. Allstate advertises that their program can potentially save users up to 30 percent on car insurance. Here’s our Allstate Drivewise review and a look at how the program works. The business of car insurance is built on calculating risk. Your car insurance premiums are based on how much of a risk an insurance company thinks you are when you’re behind the wheel. Many of the risk factors insurers consider are things you can’t control, such as your gender and your age. Other factors include income and education level. One recent study by the Consumer Federation of America found that insurance premiums are significantly lower if a woman is married, owns a home, has a college degree and has a professional job. If a woman is single, a renter, has earned a high school diploma, and has a clerical job, then her premiums are higher. Do these factors have anything to do with driving ability? No. Is that fair? No, many would say. In fact, California law prohibits or limits insurers from using non-driving factors to set premiums. Enter Allstate Drivewise, Progressive Snapshot, State Farm’s Drive Safe & Save and similar programs, which give insurance companies a way to measure how risky of a driver you are by directly observing your driving habits. How does Allstate Drivewise work? Drivewise tracks your driving habits via a mobile app or a small device installed in your car and then sends the data to Allstate. Here’s a comprehensive list of everything the Drivewise device records, including hard braking, high-speed driving and the hours you’re behind the wheel. You can look at the data collected on Allstate’s website, so you can analyze your own driving habits to look for problem areas and see how much you’re saving. Allstate says Drivewise will not increase your rates and could help you save up to 30 percent on your premiums. Is Allstate Drivewise worth it? Drivewise reviews agree that you shouldn’t expect to receive the full 30 percent discount unless you only use your car to drive to the grocery store in the morning. Most drivers use their cars during the “moderate risk” hours of 11 a.m. to 10 p.m., and occasionally during the “high risk” hours of 10 p.m. to 4 a.m. Most drivers will also have “extreme braking events,” which are defined as slowing down 10 or more miles per hour over a one-second time interval. 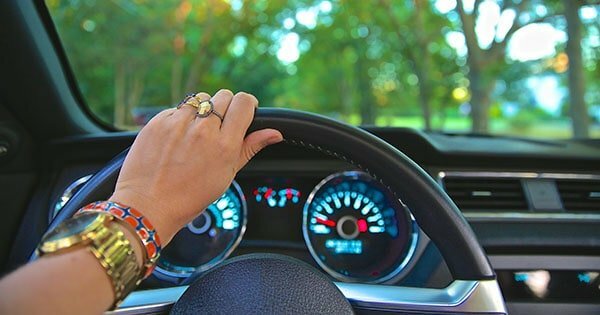 One blogger’s review of Allstate Drivewise expressed irritation with the way her “extreme braking” incidents were recorded. “What if I slammed the brakes so I didn’t hit another car? Or, maybe a dog ran out in front of me,” she wrote. Snow and icy conditions may cause the device to record hard braking events when none occurred, some users report. Another user says Allstate was willing to remove some of his braking events when he complained. However, you will save money using Drivewise, at least at first. Allstate offers a 10 percent discount for signing up. It could be worth a shot. If you’re not happy with your current auto insurance, get free quotes from competing insurers with Compare.com. We compare multiple, real-time auto insurance quotes side-by-side so that you can make the best choice for yourself.